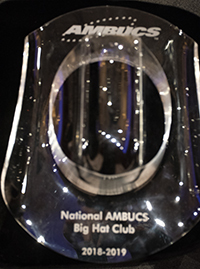 The Big Hat Club is an honor group within AMBUCS. In order to qualify, a member must recruit three new members in a 12-month period. 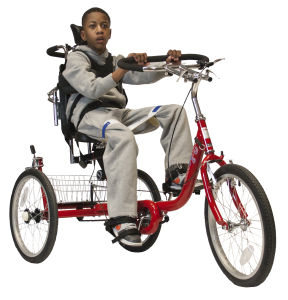 The club exists to take membership, fundraising and fun to a whole new level. The Big Hat Club was started by Past National President Charles E. Mitchell during his term at the June 18, 1939, executive board meeting. The idea was to present a shirt to each Ambuc able to recruit at least three new members in a 12-month period. The concept was to create incentive to bringing in new AMBUCS members. The individual who brought in the most new members would receive the “Rabbit Trophy”! Fortunately, at the July 2 meeting it was decided to award a ten-gallon hat instead and recipients would form a Big Hat Club. 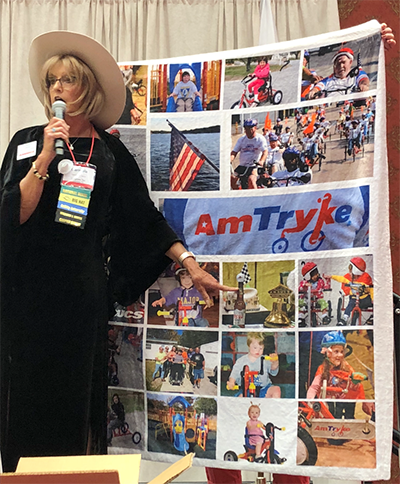 These special, fun-loving members are the backbone of AMBUCS and provide leadership in recruiting new members and supporting the AMBUCS mission. Big Hatters, Let’s Get Excited! I need EVERYONE’S help selling AMBUCS blankets and raffle tickets – this is NOT just for Big Hatters – this is for everyone. What a great gift for a sponsor, for yourself, for Christmas, to hang at your meetings or events – to promote AMBUCS and to help the organization. For a low cost of $100 (includes shipping) you get this wonderful soft 50×60 blanket, featuring Amtryke giveaways, ramp builds, universal playgrounds and much more. Complete the form and I will mail you the blankets. If you can’t afford a blanket but want a chance to win a blanket plus over $2,000 worth of gift cards, then buy some raffle tickets — $5 each or 6 for $20 — BARGAIN! 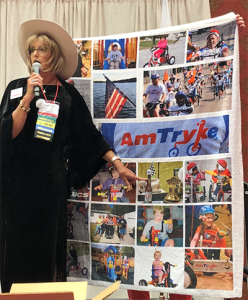 1st PRIZE: Gift Card Basket – Includes $2,130 worth of gift cards – see details here; AMBUCS Blanket & an Acrylic Big Hat (see below right) total value over $2,300! 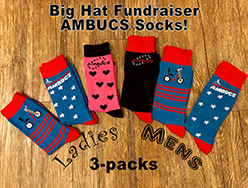 NEW: AMBUCS Socks. Order form and full details. $20 for a package of three. FREE blanket when you buy 20 packages ($400). You can re-sell as a chapter fundraiser! Or buy a blanket and get a FREE package of socks! Remember these purchases also help your chapter reach its 100% Giving goal (average of $40/member) in the three areas of Scholarships for Therapists, Amtryke and Cornerstone. So not only do you get a great gift or a chance at one but also help your chapter towards its yearly commitment.